A cutting edge cut and single malt scotch have not always been comfortable bedfellows, until now. Barbershop/bar hybrids are on the rise across the U.S., praised for their quirky brand of cool that delivers far beyond convenience. And we’re not talking about barbershops that serve complimentary beer or wine while you wait; these are full on craft cocktail destinations that feature killer haircuts by top talent. This relatively new concept can elevate the experience and generate guest loyalty in businesses that can often be ephemeral. Bloomberg estimates that 80% of new businesses fail in the first 18 months- hair salons, barbershops and bars included. Here we took a look at some barbershop/bar hybrids that are smashing that statistic to pieces. Blind Barber, with locations in New York City, Brooklyn and Los Angeles stays serious with business in the front, party in the back. The speakeasy vibe attracts area style setters for cuts, shaves and a hand-shaken cocktail. 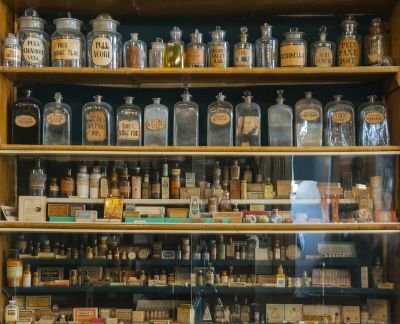 The shop’s popularity has spawned a product line packed with grooming essentials, like 90 Proof Hair Pomade and Watermint Gin Shave Cream, scented to connect back their cocktail-based branding. Bottle and Barlow in Sacramento, the much-anticipated joint venture of local legend Anthony Giannotti of Anthony’s Barbershop and cocktail master Jayson Wilde of the acclaimed watering hole, Bourbon & Branch. Anthony’s is known for its cult following, with customers often waiting up to two hours for a cut or shave from the shop’s team of master barbers. These guys have got it going on; experts manning each side of the business plus innovative twists on the cut and craft cocktail menus. Bottle and Barlow was a dark-horse inclusion in Details magazine’s list of “The Most Anticipated Bar Openings of 2015”. Read our full interview on Bottle and Barlow’s barbershop bar concept for more on their innovative concept. In Durham, North Carolina, Rock’s Bar and Hair Shop brings beer one step closer to their customers. What started as a barbershop has evolved into a full service craft beer bar with a revolving list on tap and in bottles. Barbers are on site till 8:00pm to catch that after work crowd in need of a haircut pre or post brew- clever. Cocktails and cuts are also trending in other South Atlantic states. High & Tight, named for the military version of a classic crew cut, is opening soon on Main Street in Deep Ellum, Texas. Owner Braxton Martin, a former interior designer and fashion stylist, is crafting a 3,000-square-foot space offering cuts, shaves and grooming services for the well cared for man. The 1920s-inspired environment will focus on barbering, the hidden speakeasy a concealed gem for those Texans “in the know” there in Deep Ellum. We can’t wait. Beyond building loyalty, the barbershop/bar concept can help increase revenues for unused space. A recent industry study showed that barbershops typically allocate 63% of their square footage to hair, while profit margins for most operations averaged out at 10.7%. 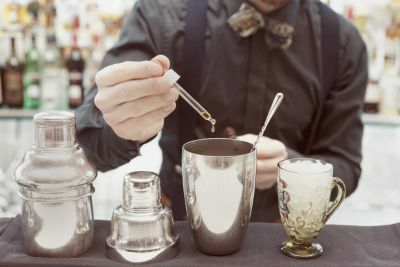 The bar/barbershop concept can, potentially, help offset fixed costs with high margin spirits and attract a diverse clientele at the same time. Have a favorite barbershop/bar hybrid left off this list? Call us out with a comment below.